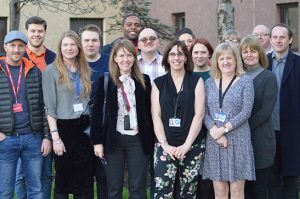 (Edinburgh – 3 April 2017) – Today Community Justice Scotland begins its venture to prevent offending and promote world-leading standards of community justice across the country. Working with a broad coalition of partners from the police, local authorities, health boards and courts to charities, community groups and alcohol and drug partnerships, the new public body will identify, develop and share innovation and expertise across the sector. It will also challenge received wisdom, shift attitudes and increase understanding about crime and justice. “I have always believed that Scotland could lead the way in demonstrating it is possible to change citizens’ lives by preventing offending and victimisation. We have the opportunity to become a country which enables those who have offended to repay their debt and contribute to society; building better lives for themselves, their families and for the community. “The launch of Community Justice Scotland is the next big step in our vision for a fairer, smarter justice system which allows people to pay their debt to society then be supported to make positive contributions to their communities. “Effective community justice not only allows individuals to repay their debt to society, it also reduces reoffending rates. It is imperative that Scotland leads the way in championing and adopting best practice in that field. Scotland has one of the highest imprisonment rates in Western Europe . Almost two thirds of prison sentences are for less than six months, more than half of those leaving prison are reconvicted within a year of release – and more than 15% of the Scottish prison population are being held on remand. These short spells in custody do little to stop the cycle of offending – instead further disrupting already chaotic lives, as homes and jobs are lost and family ties severed. The whole community suffers as those leaving the prison estate quickly return, leaving more victims in their wake. Community justice measures ensure that debts are paid, damage repaired, crime prevented and lives improved for everyone in the community – including victims of crime and those who offend. It encompasses both those serving community sentences and those returning to the community from prison. Less than a third of those on Community Payback Orders reoffend and overwhelmingly evidence shows that the right support, given at the right time can prevent further offending, improving lives for the better. 1. The main functions of Community Justice Scotland are laid out in the Community Justice (Scotland) Act 2016. 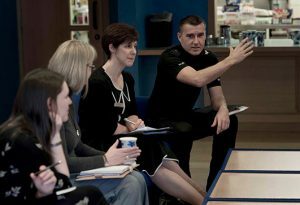 Community Justice Scotland will promote the national strategy on community justice and monitor, promote and support improvement in, and keep the Scottish Ministers informed about, performance in the provision of community justice (and in particular, performance in relation to the achievement of the nationally determined outcomes). In addition CJS will promote public awareness of range of benefits arising from effective community disposals. Please find Community Justice (Scotland) Act 2016. 2. Please find full details of Community Justice Scotland’s board and staff.